Today, the Freedom of Conscience Defense Fund (FCDF) asked the Ninth Circuit Court of Appeals to compel the recusal of Judge William Orrick from Planned Parenthood’s lawsuit against David Daleiden and his organization, the Center for Medical Progress (CMP). The petition, which was filed in collaboration with the St. Thomas More Society, contends that Judge Orrick maintains “an ongoing and longstanding professional relationship with Planned Parenthood. 1. He has an ongoing and longstanding professional relationship with one of the named Plaintiffs, whose security and property are allegedly at risk here. 2. His image has been used, by his own spouse, to endorse inflammatory public statements about the disputed facts of this case – statements that denigrated the principal Defendant in the harshest terms, while lauding Plaintiffs. 3. He neglected to bring these facts to the attention of the parties early in the case when a motion could otherwise have been brought. 4. Neither he nor the judge to whom he referred the recusal motion properly followed the statutory recusal procedures. 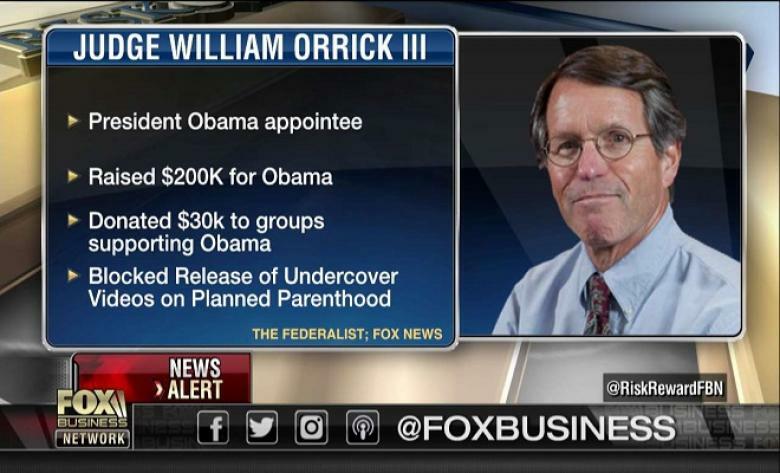 Specifically, Judge Orrick is a founder of the Good Samaritan Family Resource Center (GSFRC), a San Francisco-based organization that houses a Planned Parenthood facility within its complex. The Planned Parenthood was incorporated into GSFRC’s services while Orrick served as the organization’s secretary and counsel. Orrick’s wife has also expressed hostility to CMP on social media. This is a high-profile case with national public policy implications. Congress, the media, and the public are all watching. This Court should not permit it to proceed to trial when it is certain that any outcome unfavorable to Defendants will be clouded by the appearance of bias. That cloud can still be prevented at this point, but not later. FCDF had originally filed a motion in the federal district court, but that motion was denied, prompting Wednesday’s appeal to the Ninth Circuit.